I have come across many situations like the above during my time with the United Nations all over the world, so I have come to understand that challenges in gender equality comes in many different forms and facets. I have also come to understand that many factors contribute to gender inequality or the marginalisation of any population. The challenges in pay inequity for women, girls’ right to education, and even pink princess dolls for girls are all outcomes of a greater underlying dynamic in a society. In this case, these outcomes are the byproduct of a society’s view of women. Going back to the restroom situation in Afghanistan, that night I thought to myself that one of the main contributing factors to gender inequality was the environment surrounding children that dictates and indoctrinates gender roles, norms, and expectations. I wanted to see how to address gender inequality with children, so I looked into commonalities of children worldwide. One main thing stood out: kids like to play and play with toys. As a policy worker, I like to utilise data as the basis for any decision-making, so I decided to look up more information on the toy industry and it was not pretty. The majority of the toy industry is run by Caucasian males of older age. I will not shame anyone publically, but you can do a simple search on the executive management of any popular brand and you will see. I also read stories on how self-empowering toys were dismissed and not manufactured because these “big guys” believed they would not sell. 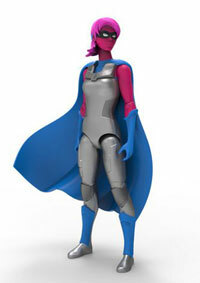 GoldieBlox – a toy line that encourage girls to be innovators – and the female action figures I am Elemental are examples of toys that are wildly popular but were ignored by the old fashioned corporate executives. Moreover, research by such scholars as Elizabeth Sweet and Jo Paoletti has shown that toy genderisation is something invented by marketing executives to boost sales. In fact Sweet discovered that during the 1970s, toy ads were actually contrary to established gender norms: showing girls playing and building airplanes and boys cooking in the kitchen (see article). Research by Blakemore and Auster and Mansbach has also found that gender-neutral toys tend to have a slight bias towards “masculine” attributes while short-changing “feminine” qualities. Thus, children may grow up to believe that “feminine” characteristics are something negative. My concern, like many, is that if people select and purchase toys based on gender-based marketing and children choose to play with toys marketed towards their gender, then their experiences may be limited as well as their socialisation and learning development. Girls and boys will essentially be socialised based on gender and learn two different skill sets, in turn, contributing to the gender divide. What do US parents think? Although enlightening, I was not satisfied with the research, so I decided to gather more data via surveying parents in the US I asked them if they were satisfied with the toys currently on the market, whether they encourage their children to play “outside the box,” etc. The results were clear: parents were concerned and wanted more gender-neutral, eco-friendly, thought-provoking toys as well as quality special needs toys. However, although parents wanted gender-neutral toys overall, when I asked if they would encourage their own children to play with toys not traditionally assigned to the child’s gender, only 49% of the parents would encourage their sons to play with toys not traditionally marketed towards boys. For parents with daughters, only 51% would encourage them to play with toys not assigned to the female gender. 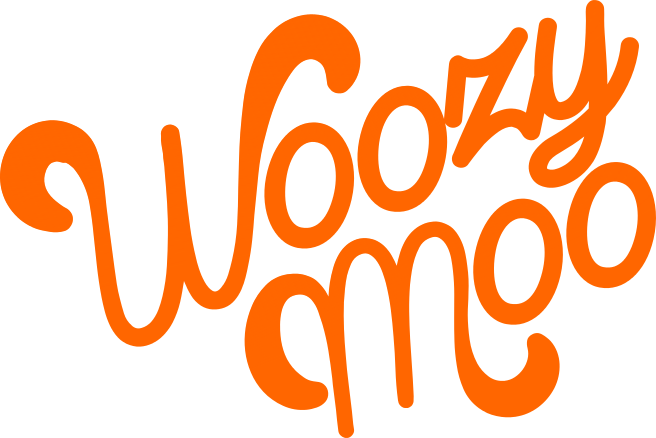 Thus, seeing how policy can have limited effects in addressing playtime and how the toy industry was not addressing this issue, I quit the UN and started Woozy Moo, to promote gender-neutral playtime and a place where people can find bias-free toys. Expanding fun without discrimination to all. Having launched Woozy Moo in the US, I am glad to see that the issue of gender-based marketing in toys and the work of Let Toys be Toys gaining traction, but with any issue, there are naysayers. Going back to the Afghanistan restroom case once again: in the Western world, the lack of a women’s restroom may seem barbaric. However, to someone that has grown up in an environment surrounded by the belief that women’s restrooms are disgusting, it is simply a part of their norm. It is the same to those that question gendered toys as a trivial matter or something that is of lower importance to “greater” inequality issues. 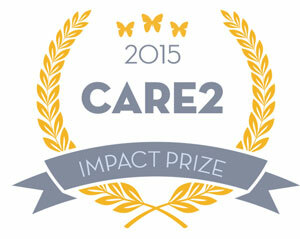 They are simply responding to their norm of what contributes to inequality. At Woozy Moo, we try to address the naysayers by making playing without gender bias something “cool.” In my UN work, I have come to see that if an issue becomes cool or trendy (think Beyoncé in making feminism “cool” or celebrity endorsements of various causes), things can change. Fortunately, we are not the only ones that believe in ending gender-based marketing in toys. We have been getting a lot of support from everyone everywhere and have been featured in Forbes, Fortune, and many others. Surprisingly though, we have been getting a lot support from some unexpected groups: self-professed “nerds/geeks” and members of the academic/science community. We thought the majority of our supporters would be mothers and fathers, but as of now, most of our supporters have been scientists and “nerds/geeks” (a sign that they see the damaging effects of genderisation in their industry/communities). We hope this is just the beginning of a larger discussion on gender stereotypes and the negative effects they can have on an individual’s life and the communities we live in as a whole. As we say at Woozy Moo, let’s have fun without the discrimination. Hai Tiet is Founder and Chief Woozy at Woozy Moo, a progressive toy e-commerce platform that aims to end the discrimination in the toy industry based in the U.S. Prior to Woozy Moo, Hai worked at the United Nations in countries like Afghanistan, Thailand, and Uganda addressing issues in education, poverty alleviation, and sustainable development. Hai is a graduate of Harvard and Columbia Universities. 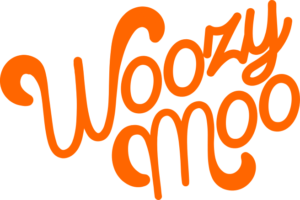 Woozy Moo is based in the US and ships worldwide. UK and Ireland readers can check out our Toymark directory of other inclusive toy retailers.